This book is a continuation of my Motivation and Personality, published in 1954. It was constructed in about the same way, that is, by doing one piece at a time of the larger theoretical structure. It is a predecessor to work yet to be done toward the construction of a comprehensive, systematic and empirically based general psychology and philosophy which includes both the depths and the heights of human nature. The last chapter is to some extent a program for this future work, and serves as a bridge to it. It is a first attempt to integrate the "health-and-growth psychology" with psychopathology and psychoanalytic dynamics, the dynamic with the holistic, Becoming with Being, good with evil, positive with negative. Phrased in another way, it is an effort to build on the general psychoanalytic base and on the scientific-positivistic base of experimental psychology, the Eupsychian, B-psychological and metamotivational superstructure which these two systems lack, going beyond their limits. It is very difficult, I have found, to communicate to others my simultaneous respect for and impatience with these two comprehensive psychologies. So many people insist on being either pro-Freudian or anti-Freudian, pro-scientific-psychology or anti-scientific-psychology, etc. In my opinion all such loyalty-positions are silly. Our job is to integrate these various truths into the whole truth, which should be our only loyalty. I was very excited to find this book available on Audible, but am very disappointed that the narrator didn’t take the time or care to learn the pronunciation of so many terms and names. 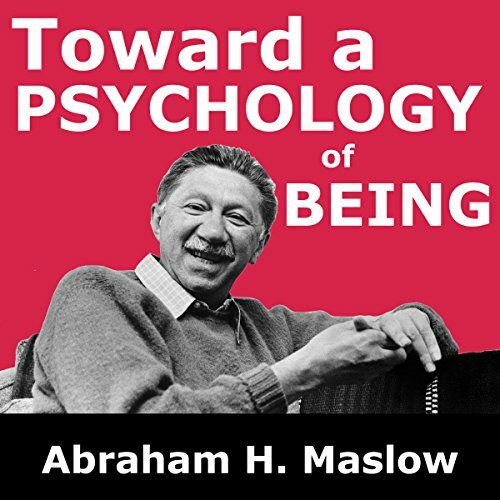 It is very distracting from and a disservice to Maslow and this valuable work.